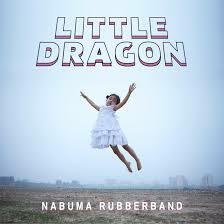 Swedish electronic band, Little Dragon gives fans a taste of futuristic swag in their last album, Nabuma Ruberband. Little Dragon graced the music scene with their presence in 2007 with the release of their self-titled debut album drenched in soul and riddled with jazzy instrumentals. The band gave audiences a glimpse of their magic with lead vocalist Yukimi Nagano’s soft melodies and rhymic hum. Just like the albums before, Little Dragon gives more than an earful and enough to leave listeners wanting more. Little Dragon is comprised of Nagano on vocals, Erik Bodin (drums), Fredrik Kallgren (bass), Hakan Wirenstrand (keyboard) and Arild Werling (keyboard). 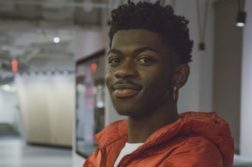 ‘Nabuma Rubberband’ is a beautifully crafted album and opens with the first track entitled “Mirror”. “Like friends in a picture class, we captured some moments. Now I don’t recognize you,” Nagano lightly sings. His voice seems to flow seamlessly over the slow ticking, instrumental like that of a clock’s minute hand. The albums second track, “Klapp Klapp”, has a faster tempo. Nagano’s catchy lyrics and reliably soothing voice makes this a fun song. Other songs such as “Nabuma Rubberband” are quickly paced with hard dropped beats and high keyboard strums making the album very enjoyable. Many tracks on the album feature music videos such as “Paris”, which is your typical band on a fun road trip video. However, in this video Nagano shows off a few dance skills while her band mates push their broken Volkswagen bus. 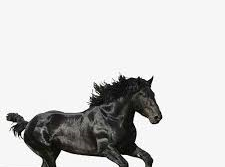 My favorite song on the album is definitely “Cat Rider”. The song is slow paced but hard hitting. The lyrics oozes from the speaker and makes you relate to them before you know what hits you. “Two months have gone now, since she came around this house. Her answering machine’s full. He thinks listening could give her doubts. But when this girl has made up her mind, she’s made up her mind, made up her mind,” Nagano whispers. The bass is rhythmic and timed so that the sound reverberates through your entire body. You’ll hit repeat twice over again for this song. This album is one of my favorite’s from this band. Little Dragon never fails to give their fans great music and even greater vibes. I give this album ten stars out of ten stars.